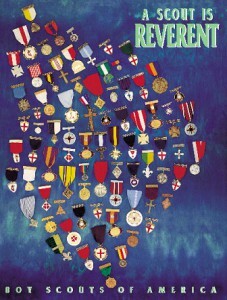 To encourage members to grow stronger in their faith, religious groups have developed religious emblems programs. The Boy Scouts of America has approved of these programs and allows the emblems to be worn on the official uniform. The various religious groups administer the programs. Check with your local council service center or contact the religious organization directly to obtain the curriculum booklets. 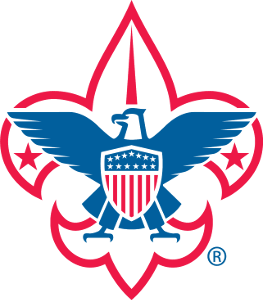 "The Boy Scouts of America has approved the official position of Unit Religious Emblems Coordinator for adult registration in a Cub Scout pack, Boy Scout troop, Varsity Scout team, Venturing crew, and/or Sea Scout ship. This adult is a unit committee member who promotes the religious emblems of one or more faiths with the unit's youth members, and may also be a religious emblems counselor for a particular faith denomination's awards program. ... This particular position is considered a member of the unit committee, and has a special position patch for this particular role (available for purchase in our council scout shop).